One of No One’s Company services is to manage social media accounts, so it learns and knows the different between pro users and amateurs. Our lens today will be focusing on Instagram, the strongest phone app related to Social Media! We all remember its creation years ago, and how it became so popular to the point of attracting Facebook to buy it! 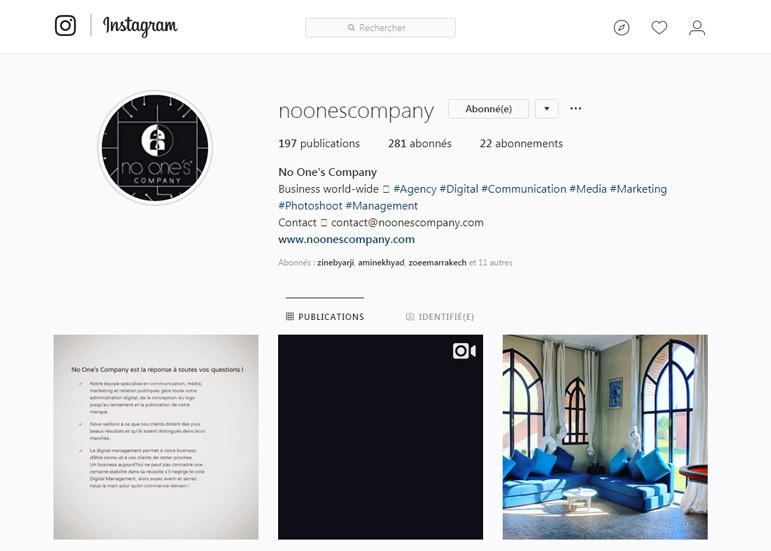 Instagram is the first account to open after creating your website. Companies and individuals have the right to own a profile and use it to develop their business, therefore no one should have an excuse! An Instagram account must be created respecting the settings that are the closest to your activity, and then it must be developed following some general and particular norms! The number of “FOLLOWERS” is the most attracting detail on Instagram, but is it something that proves the professionalism of the account? – NO: The number of “FOLLOWERS” only matters if it’s higher than the number of “FOLLOWING”. 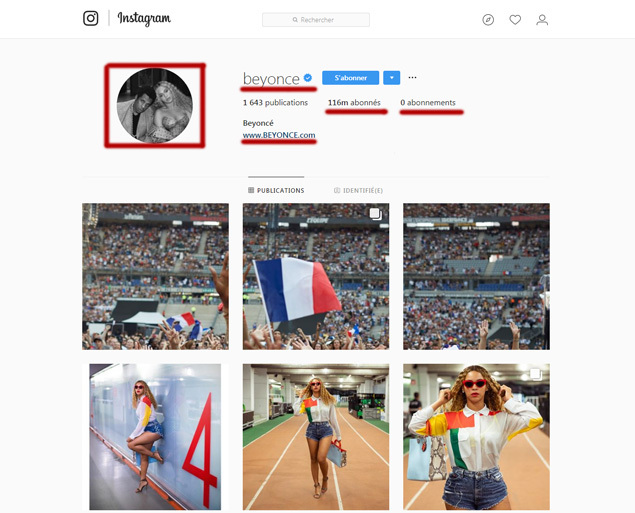 Is the Blue circle with the check sign next to the name on Instagram proves that the profile is a celebrity?-NO: This sign proves that Instagram recognizes and guaranties that the owner of the account is real and managed by the true organization or person. Is a profile picture important?-YES: An ID is not valuable without a picture, and so is your Instagram account! A profile picture of you as a person or the Logo of your business is a huge sign of a PRO user.